It is officially Spring! After what seemed like a never ending winter, I came home today to see the buds on the garden daffodils are starting to bloom. I am hoping this is a sign that Spring like temperatures are not too far off on the horizon. This yellow flower brought sunshine to a dreary patch in my garden. 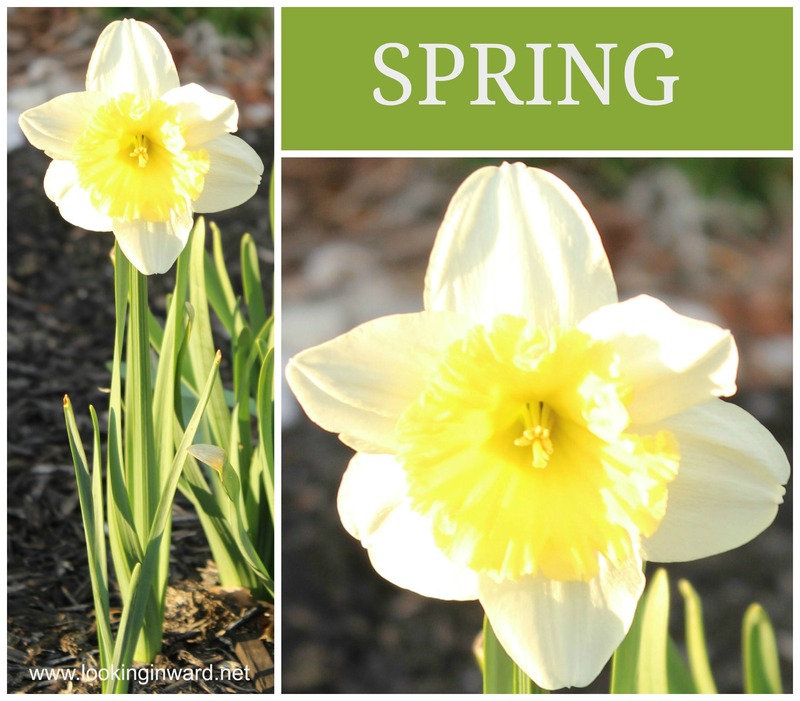 Today, I share a picture of one of my garden daffodils to brighten up your day, a few fun facts about the Daffodil, and a poem by William Wordsworth that is commonly known as “The Daffodils”. 1. The Daffodil symbolizes rebirth and new beginnings. 2. The Daffodil is the March birth flower from the Latin name Narcissus. 3. Greek legend tells the story of a man named Narcissus who was so obsessed with his own reflection that as he knelt by water to gaze at himself he fell in and drowned. The daffodil flower supposedly grew in the spot where he died. 4. Daffodils are the national flower of Wales. 5. In Chinese culture the daffodil is a symbol of prosperity. It is said that if the daffodil blooms early in the year it will bring you wealth and good fortune. 6. The scent of the Daffodil is very sweet and some say it can reduce tension and stress. Although, don’t get too close as you can get daffodil itch from handling the stems. 7. William Wordsworth wrote a poem called “I Wandered Lonely as a Cloud” which became commonly known as “The Daffodils’. I remember learning this poem in school. This entry was posted in Nature and tagged Daffodils, Flower, I wandered lonely as a cloud, Narcissus, Nature, Photography, Poetry, Spring, Stress, Wales, William Wordworth. Bookmark the permalink. Loved this! Never heard of that poem. I’m so glad you shared it. The daffodils make me think of my grandmother who had many in her yard. I was missing her and all my passed family this Easter. She would have liked the poem. I have been noticing large groups of daffodils here and there about the towns. They bring a smile to my heart.